When an ancient and forbidden magic is unleashed, Izzy – who is still coming to terms with her newfound powers – and her father must prevent a war from engulfing Dublin and the fae realm of Dubh Linn. But by refusing to sacrifice Jinx, fae warrior and her ‘not-really-ex’, Izzy sets in motion a chain of events which will see them hunted across the city and into the hills where she’ll face the greatest challenge of all. 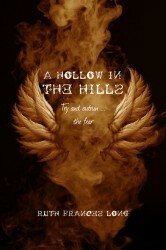 The second in the compelling A Crack in Everything YA fantasy trilogy. An exciting cocktail of the magical and the mundane in modern Dublin.